Hector Miller was born in West Sussex and first trained at the local art school in Worthing and then continued his studies at Hornsey College of Art where he studied three-dimensional design. In 1968 he went on to the Royal College of Art where he studied under Professor Robert Goodden and while at the Royal College of Art won a competition to design and make a pair of ceremonial batons for the Commonwealth Games at Edinburgh. After completing his studies, Hector Miller worked for three years with Stuart Devlin in London. 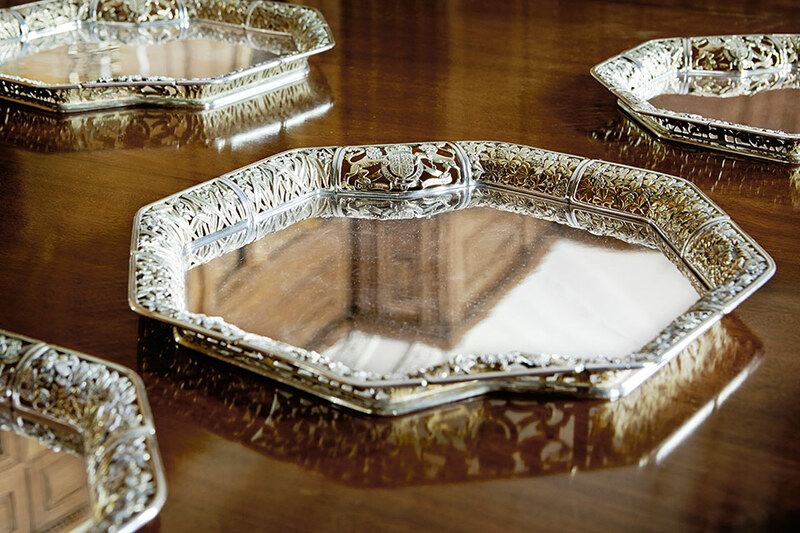 Notable commissions he designed at this time but made in the Devlin workshop were a dinner service for the Shah of Iran, a gold cup for the EEC and York Minister goblet, the first of a long series of commemorative projects for English Cathedrals. In 1974 Hector Miller established his own company taking on Leslie Durbin’s workshop.